We've now entered that quiet time once again when the birding seems to keep throwing up the same old species and our thoughts now turn to the approaching spring. Am I sounding a little complacent perhaps? Talking of spring, for me the most exciting time in the birding calendar, there does seem to be signs of the countryside awakening from it's winter slumber. 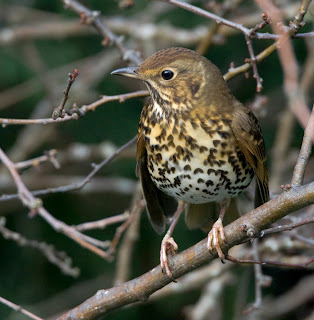 Song Thrushes have now begun to sing and take control of their territories, a sure sign that spring is on the way, earlier a Mistle Thrush was also singing from a lofty perch as I arrived back to the marina. The month of February can be as harsh as any, with snow and freezing winds. However it is possible to spot hints of better things to come. Although spring is still several weeks away the first signs are there to see. 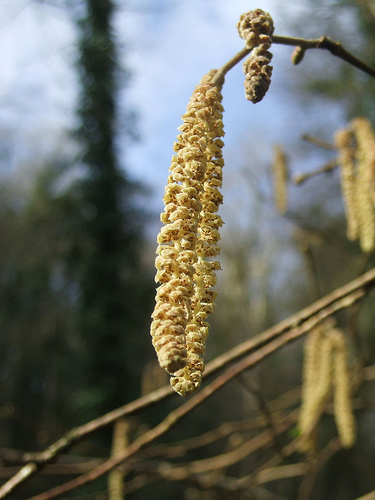 For a short time now at Brandon Marsh the Hazel Catkins have started to expand into golden tassels in order to release their pollen to the wind and the leaves of Bluebells are starting to poke through the leaf litter in New Hare Covert. This week I've been out and about as usual and have had a somewhat mixed bag. On Thursday at Brandon Marsh the highlights were a brief sighting of Bittern on River Pool and I also flushed two Woodcock while working on the Newlands reed bed. Being February the sluices on the main East Marsh Pool have been reopened and the main Island is now starting to reappear, the many Lapwing are already beginning to take advantage. A text message reporting six more Waxwings at the marina on Friday while I was on business in London however was my disappointment of the week. Saturday produced my first local Red Kite of the year when a single bird flew across the A425 as I came through Southam in the car. I'm also feeling a little more confident with regard to the Barn Owl population at Brandon. A survey and clean out of the reserves Barn Owl boxes revealed at least four resident birds. I've also noticed more recently an influx of Goldcrest with my last three visits registering 2/3 per visit. Wren's, Water Rail and Cetti's Warbler, although now beginning to call, do seem to be in smaller numbers than previous years and I fear the December cold snap may have had an effect. I'd also like to take the opportunity in this post to bring to your attention Treesparrows.com. 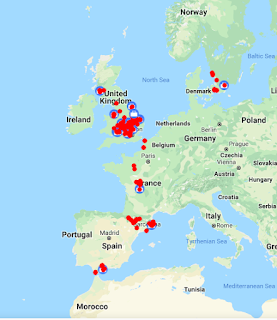 We're lucky enough at the marina to have a thriving Tree Sparrow population but as you'll probably know these attractive little birds are on the decline in the UK and the site needs your support. 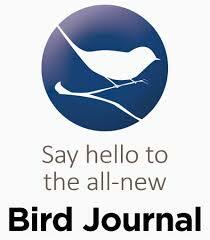 Finally thanks for your feedback on the new Boatbirder Daily, there very much appreciated.